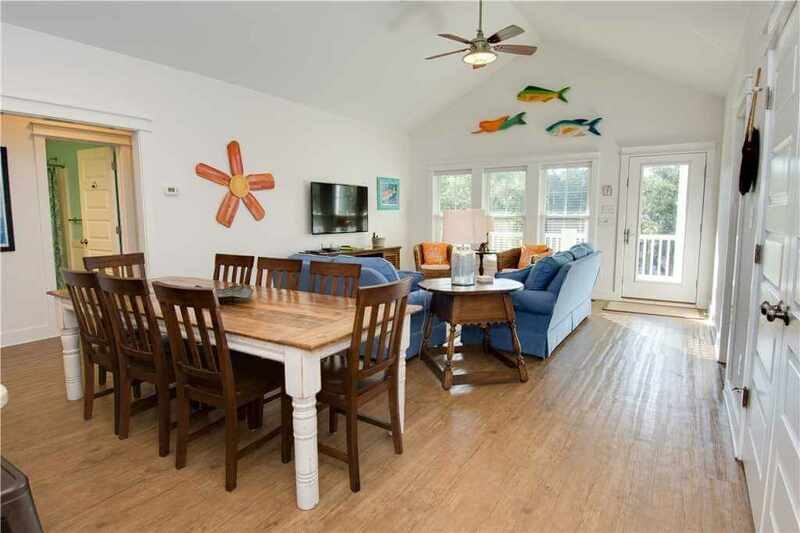 When looking for a vacation rental, Emerald Isle Realty has plenty of options you can choose from like oceanfront condos or soundfront cottages. Above all, your rental should be comfortable, accessible and make you feel at home away from home. 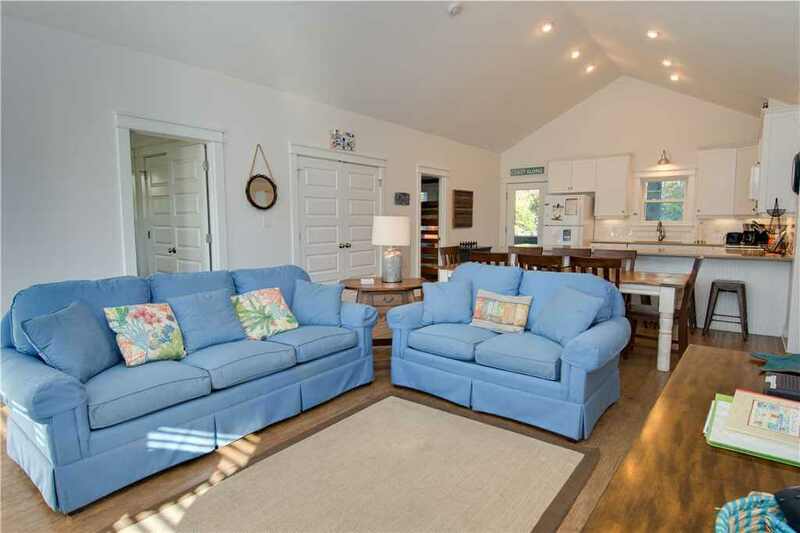 This week’s featured property Bogue Banker, dots the I’s and cross the t’s when it boils down to what you’re looking for on your next vacation with laidback North Carolina coastal style and serene Emerald Isle surroundings.  Bogue Banker is located off of Emerald Drive which is the main drag of Emerald Isle where you can find plenty of shopping and local eateries that will satisfy any craving. 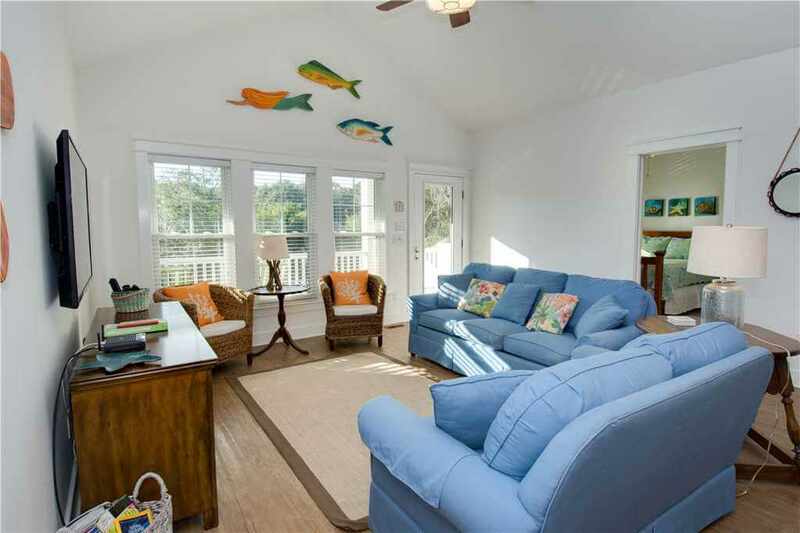 This cottage is a football fields-length walk to the beach and is close to other Emerald Isle hotspots like the Bogue Inlet Pier and the North Carolina Wildlife Public Boat Ramp. A few minutes down the road and you’ll reach the North Carolina Aquarium at Pine Knoll Shores and short drive after that will take you to the historic Fort Macon State Park. If you’re looking to get out and about while you’re on vacation, Bogue Banker is close to area communities that are filled with history and small-town southern charm like Swansboro, Indian Beach, and Pine Knoll Shores. A day of sight-seeing has can’t be more convenient! When you walk through the front door, you’ll be warmly greeted by an inviting open floor plan that spans the kitchen, living and dining room with hardwood floors, vaulted ceilings, and recessed lighting. 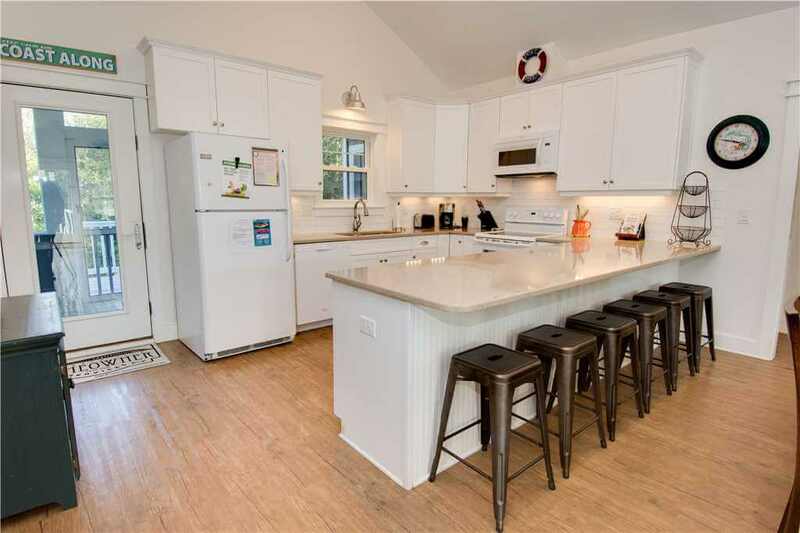 The open kitchen has plenty of counter space for preparing home-cooked meals and the breakfast bar is ideal for having quick meals or planning the day with your family or friends before heading out the door. A large dining room table has seating for eight off of the kitchen and situated in space where your group can congregate from the kitchen or the living room without feeling too far away. 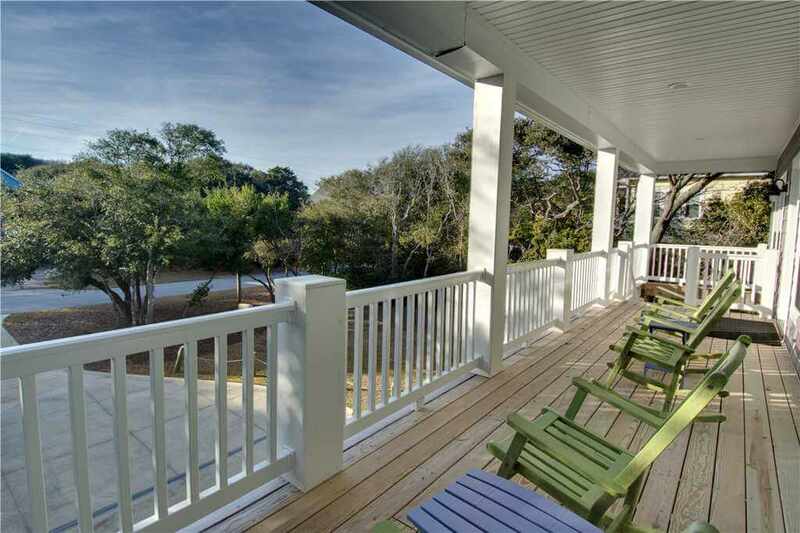 A screened-in porch also has a table that seats six and a view that overlooks the private pool and wooded area. Two plush light blue sofas and two wicker chairs make up the living room with a wall-mounted flat screen TV. The adjoining wall also has windows that span the full length letting plenty of natural light in during the day. 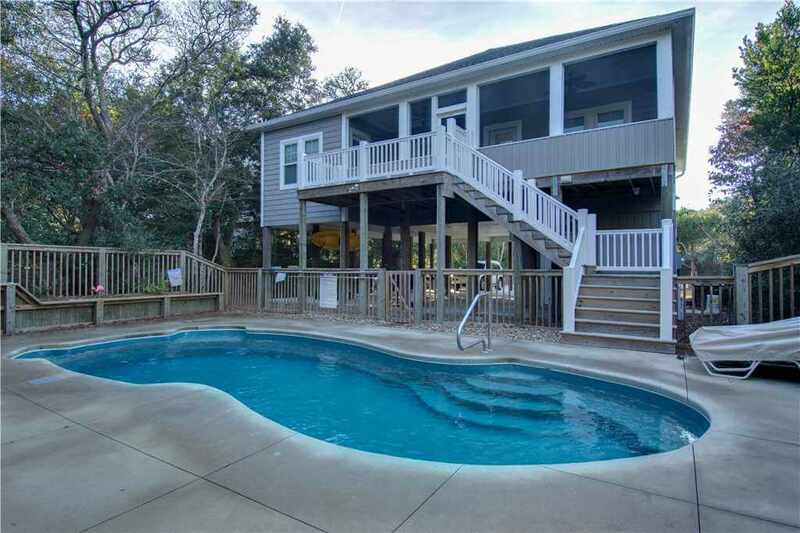 There are four bedrooms and three and a half bathrooms at Bogue Banker making this gorgeous cottage the perfect size for a family vacation or a trip with your friends. 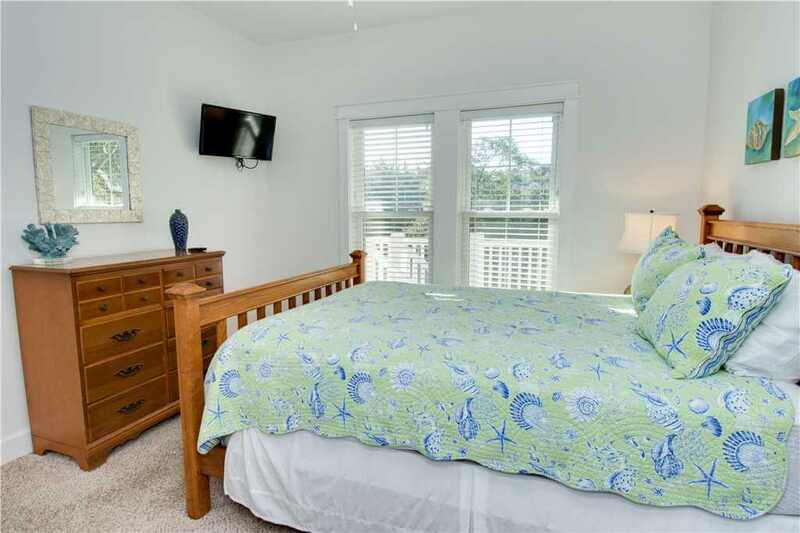 Two master bedrooms suites have king-size beds and are beautifully decorated with coastal-style decor and furniture. Another bedroom has a queen-sized bed and the last bedroom is suitable for your younger guests with a full-sized bed and twin-sized bunk beds. 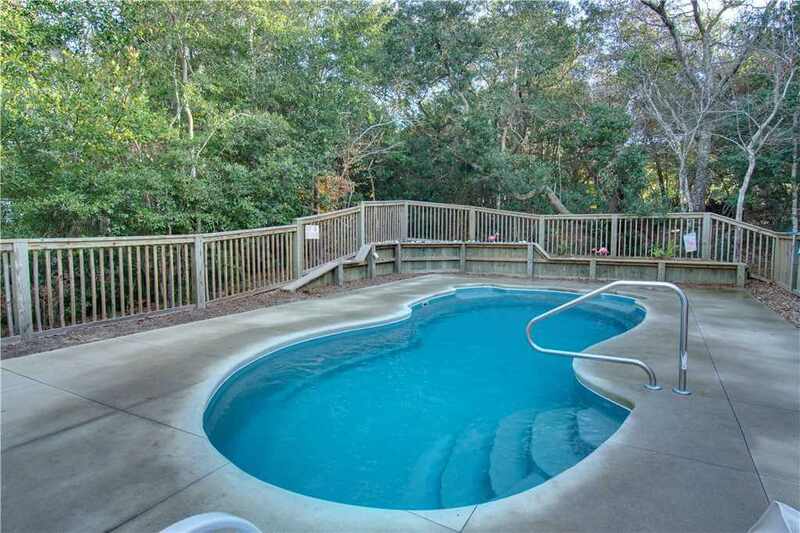 Outside, you’ll be able to enjoy your own large private pool with the wooded area of Emerald Isle as the tranquil backdrop. Speaking of tranquil backdrops, you can also take in the scenery from the rocking chairs on the balcony or from the lounging furniture from the pool. Either way is all right by us! If you’ve got a craving for some barbecue, feel free to fire up the stainless-steel gas grill on the ground floor and get to work! The ground floor also has an enclosed outdoor shower for when you get back from your visits to the beach. 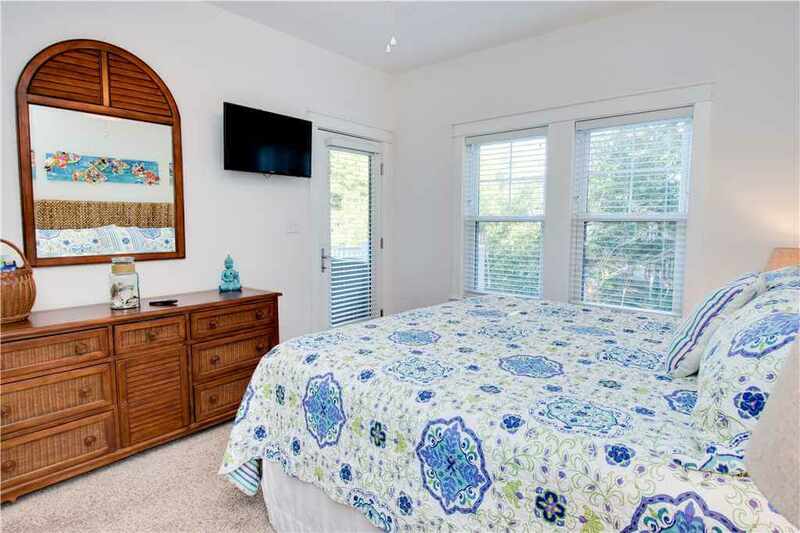 This cottage also provides many of the amenities that you’d find at your own home like wireless Internet access and a washer and dryer, and then some amenities like Island Club linen service with beds made so you arrive with nothing to worry about. 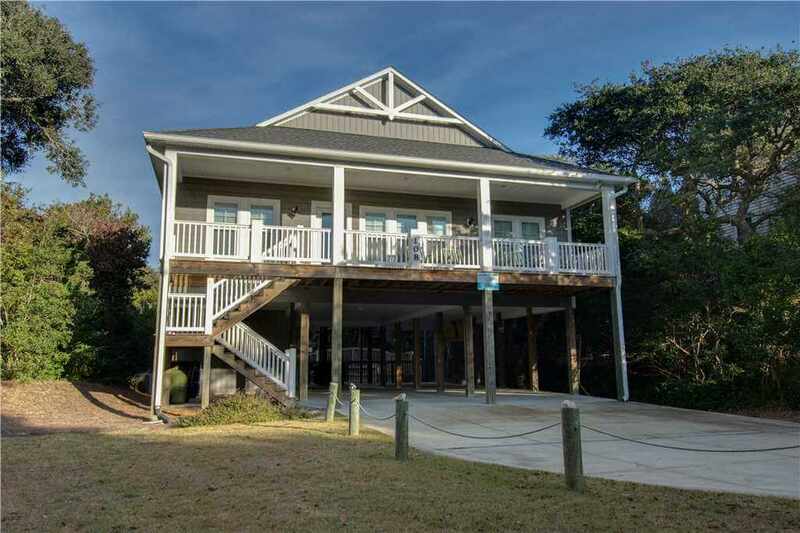 Vacation rentals like Bogue Banker with their amenities and convenient locations don’t last long and with spring right around the corner, this cottage is available nightly! 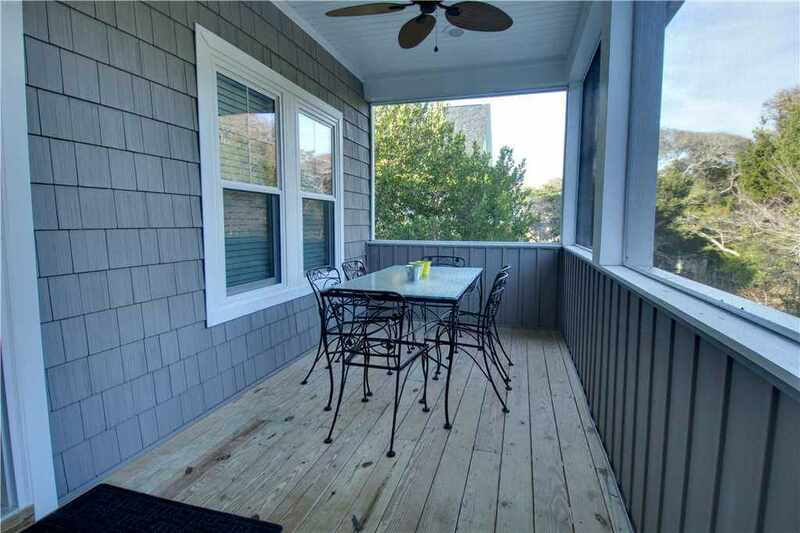 Click here to check Bogue Banker’s availability and here to see more photos of this middle row cottage!